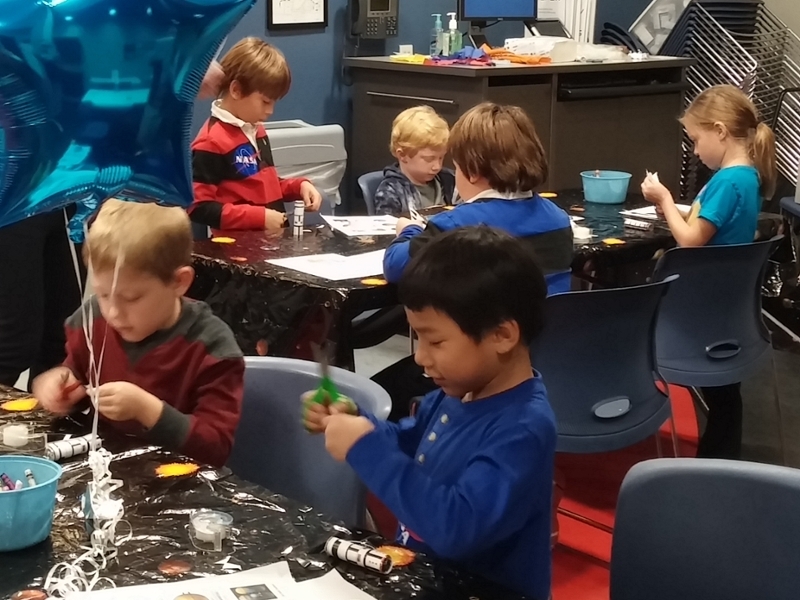 Plan an out-of-this-world party with your friends and family! We offer unique 2 hour birthday experience designed for up to 12 participants and 2 adults for $250, each additional participant is $15, each additional adult is $5. You and your guests experience "out of this world" activities that just may inspire a future astronaut. If cancelling the party, cancellations must be received, in writing at least 1 week prior to party. If less than one week, you are responsible for payment of remaining balance. A list and brief description is provided below. Rocket Water Bottles Craft Ages 7 to 12: Is it a rocket or sparkly globe?